What fun we had in our 2015 concert which took us to the realm of nursery rhymes and nonsense verse! 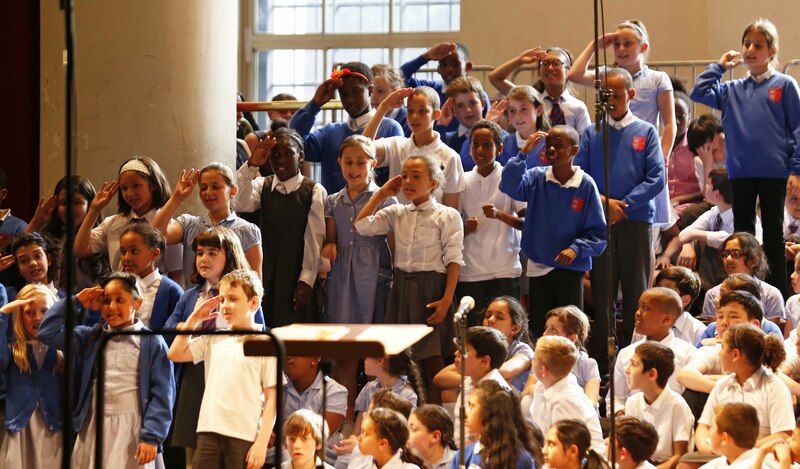 More than 120 children from six London primary schools joined members of The Bach Choir in St John’s Smith Square at the end of the school year. 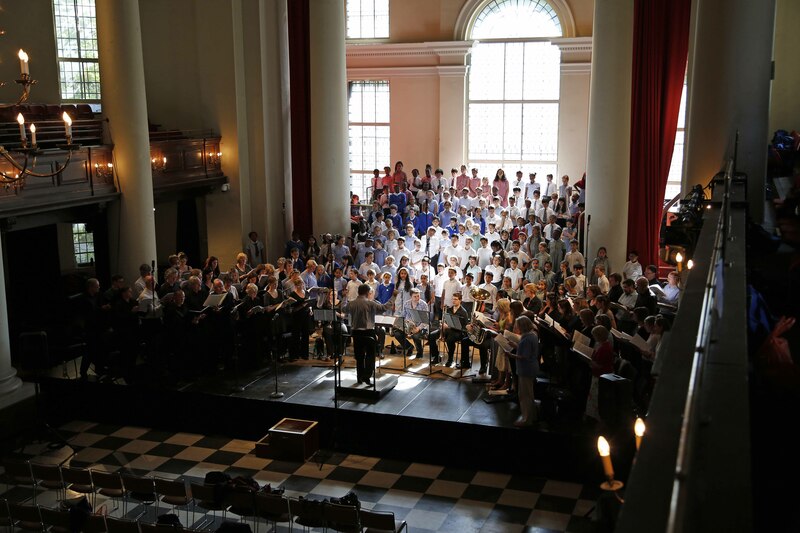 We were accompanied by a brass quintet and Philip Scriven on piano, and conducted by The Bach Choir Musical Director, David Hill. The main work was Alan Bullard’s cantata, Mr Lear, which tells the story of Edward Lear’s life interspersed with settings of his nonsense verse. 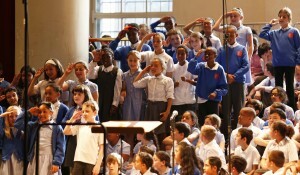 The children had practised their parts during the year, learnt them by heart and performed them with skill and enthusiasm. The novelty this year was having narration as well as singing. 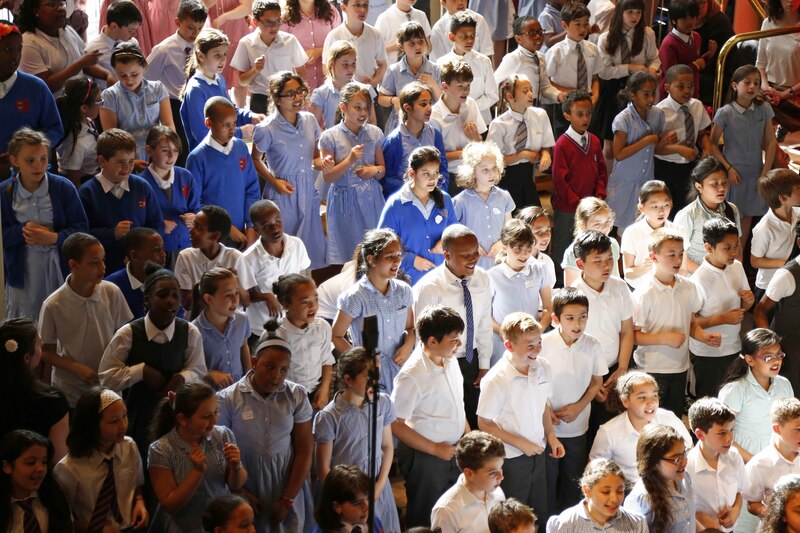 This gave the opportunity to children from each school to speak some of the lines about Edward Lear’s life or to recite some of his verse. 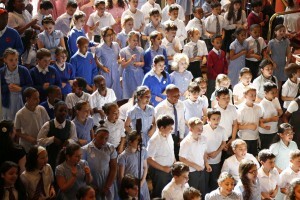 Each school also performed on their own. The songs they chose were mostly traditional ones, such as The Pirate Song and Way down in Yonder Cornfield. 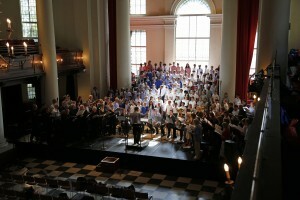 The Bach Choir sang Old Mother Hubbard and Sing a Song of Sixpence, set to music in http://my-essay.net/ the style of Handel, and two of Edward Lear’s nonsense poems set by contemporary composers – The Owl and the Pussycat by John Rutter and Calico Pie by Grayston Ives. Interspersed with all these were rounds, ending with There was an Old Man called Michael Finnegan, which the audience was invited to join in.